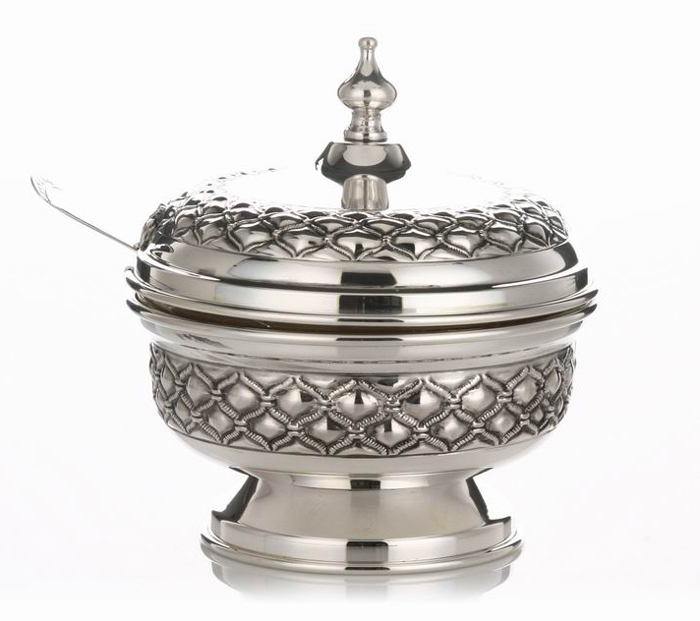 The cover of this sterling silver honey dish has an elegant pointed dome knob handle. A band of Hadad Bros' well known embossed rope lattice design encircles both the bowl and its cover of this elegant honey dish. Simple raised round foot completes the look. Total weight 0.49 pounds (220 grams).